Fatigue, decreased functionality, and impaired quality of life are some of the most common adverse outcomes of chemo-radiotherapy (CRT). Head and neck cancers (HNC) affect more than half a million individuals globally and its treatment takes a heavy toll on the patient, often affecting their speech, swallowing, and respiratory functions, and as a result they often develop fatigue, depression, and physical inactivity. The purpose of this study was to evaluate the effectiveness of exercise-based rehabilitation on functional capacity, quality of life, fatigue, hemoglobin, and platelet counts in patients with HNC on CRT. 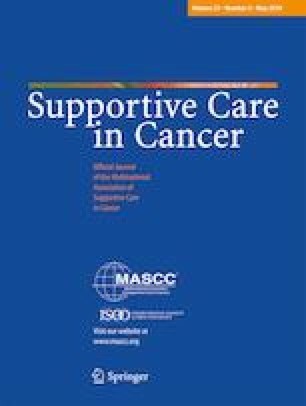 A randomized controlled trial was conducted on 148 patients with head and neck cancer undergoing CRT to evaluate the effectiveness of exercise on functional capacity measured by the 6-min walk test, quality of life measured by the Medical Outcomes Survey Short Form 36 v2 questionnaire, fatigue by the NCCN (0–10) scale, hemoglobin, and platelets. The control group received standard physical activity recommendations while the exercise group received a structured exercise program of aerobic and active resistance exercises for a period of 11 weeks. There was a significant improvement in the functional capacity (p < 0.001), quality of life (p < 0.001), and prevention of worsening of fatigue (p < 0.001) in the exercise group. The blood parameters did not show a significant difference between the control group and the exercise group. Our results elucidate that an 11-week structured exercise program for HNC patients receiving CRT helps in improving their functional capacity and quality of life. It also prevents deterioration of fatigue levels in the exercise group. Dr. Samuel was supported by a junior research fellowship by Department of Science and Technology, Government of India (Ref No: IDP/MED/2011/20) for 2 years & a PhD Scholarship from Manipal Academy of Higher Education for 1 year. NCI UG1CA189961, NCI R01CA181064 are the current grants supporting Drs. Mustian and Lin. The trial was initiated after approval from the Institutional Ethics Committee with registration number ECR/146/Inst/KA/2013 and written informed consent was acquired from each patient. This research has been presented in part at the MAASC Annual meeting 2018 at Austria, Vienna. It has not been submitted for publication nor has it been published in whole or in part elsewhere.